This legendary bike tour has nearly 30,000 New Yorkers of every stripe bicycling through 42 miles of car-free streets in all five boros of New York City. 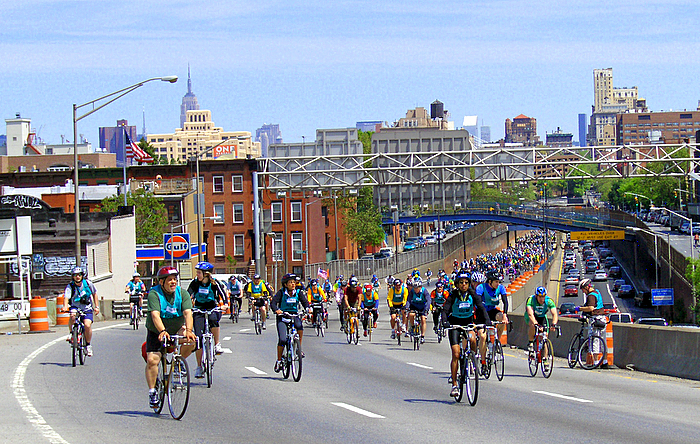 Ride highlights include crossing the BQE, cruising down the FDR, and racing over the Verrazanno narrows for the ride’s finish in a Staten Island Park. With the ferry ride back to Manhattan running smoother each year, this is the one ride that allows cyclists of all levels to tour the city on wheels.